Ferrari pulled the covers off from its 2019 contender. The prancing horse did so in its annual event at its homebase in Maranello in an event where symbolism was key. "basically have 3 superfamous technical leaders in every sector" - Who? former TDs that were let go from previous gigs? Wasn't there a joke at one point that Ross was assembling a team of rejected and fired TDs? They're famous because they're at Merc now, not because they were super famous before, they were all let go at some point. The TEAM matters more than a celebrity name. I did a simulation once of a lap around Monaco with no downforce and it was 30-40s slower. Downforce makes the biggest difference in slow speed corners” - James Knapton, Head of Vehicle Science at Red Bull Technolgoies. A minor point from the speed traces. 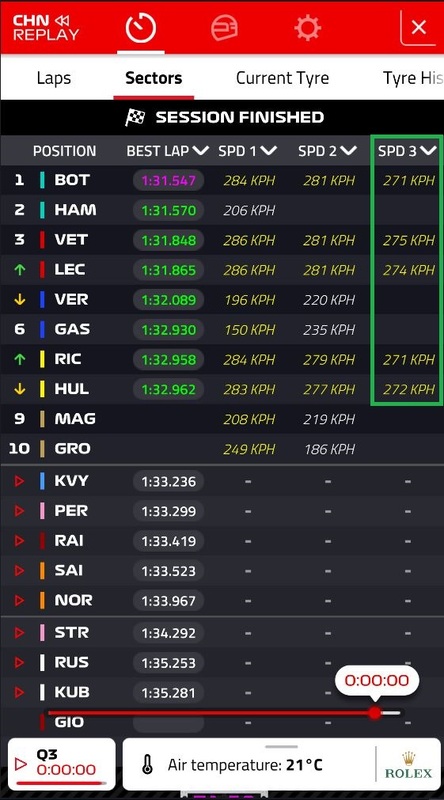 Bottas has virtually the same speed over the start line at the beginning and end of the lap whereas Vettel is quite a bit slower suggesting he ran out some resource, either power or tyres or maybe both. Quite a few posts about FSAE, seasons past and team politics have been moved to the team thread. A gentle reminder that the car threads are supposed to stay about the car. As usual, see the opening post in the thread for guidance. Thank you for helping to keep the car threads from becoming long and unreadable catch-it-all threads. 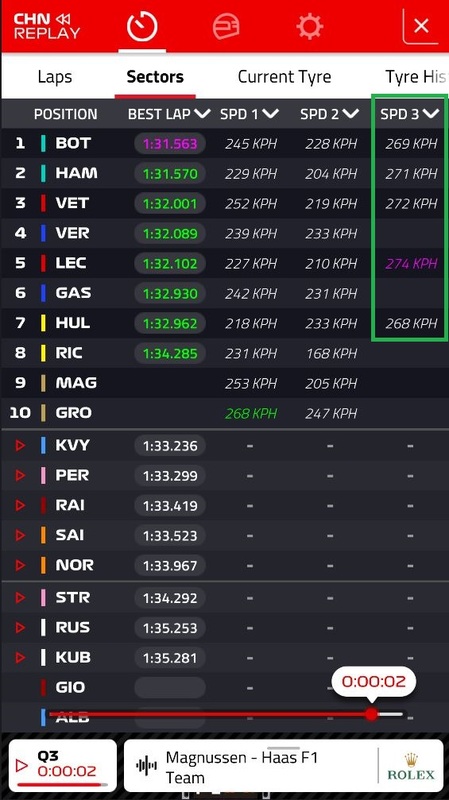 Ferrari was 3 tenths faster in Bahrein, in China it was the other way around. 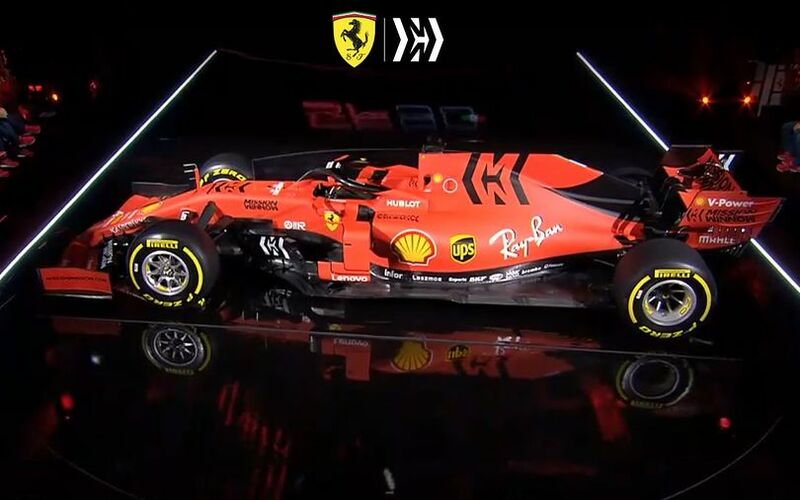 So it seems that it's all about the right setup, we will see different performances in each race weekend, and I would not say that the SF-90 is inferior to the W10 in terms of aero. I think you need to look at the graph again! I think you need to explain more. Every single point (bar 55ish) in cornering Bottas appears to be at a faster speed than Vettel. The difference curve seems to show this too, straight line Vettel gains, cornering Bottas gains. it s clear the merc advantage in every corner around 100 kmh basically all the turns beside the 40 and the 85 where, tough, it seems vettel lost the tyres performance completely . Interesting, it kinda seems cornering speed for Ferrari gets progressively worse as lap goes on + after longer straights. Might be problem with tires as well as well. Video from 2018 Monaco Qualy clearly shows the RBs being able to attack the chicane corners due to superb low-speed balance in contrast to the Ferraris that had to be passively guided around the same corners due to low-speed understeer (a common weakness of formula cars). 1) RB had more downforce in low-speed turns (presumably on the front?) and this caused the better low-speed turn-in, etc. 2) This downforce advantage went away in all the higher speed turns? The analysis is bogus (at least in this respect). Below are images with speed traps from the start of second Q3 laps and the end of those Laps. As you can see Vettel has 3 kmh higher start/finish line at the end than he did at the beggining, and also 4 kmh higher than bottas. I discussed it with the guy who did it (who's normally really rigorous and careful). Furthermore, the graphs were TIME-superposed as opposed to position-sync, which is a bit misleading in terms of overlay. But the values are genuine. Will suggest it to him so sync based on speed values for beginning of the lap and to overlay them distance-based rather than time-based for it to be more accurate next time. I checked the average speed chart he gave in the 1st stint, and they are spot on. And apart from the last straight, the delta time is very much in line with video comparison. So yeah, a bit of inaccuracy towards the end but I think it's based on good work and it's a matter of fine-tuning it. In the speed traces the slow corners look like V for Vettel (no pun intended) and U for Bottas. Maybe that's a driver style difference but from my (severely limited) simracing experience this may indicate understeer on turn-in. That's usually a tyre wear/temperature management difference. Veeing the corner reduces tyre temps/wear with these Pirellies. When it comes to front wings, the Halfway-house solution seems to be the best while, Ferrari and Alfa Romeo's version are the worst as their front wing don't produce enough downforce in front limited tracks, like China and Australia, but the thing is apart from Hungaroring, there isn't any other track that requires the fronts to work well so we still don't know who is on top.